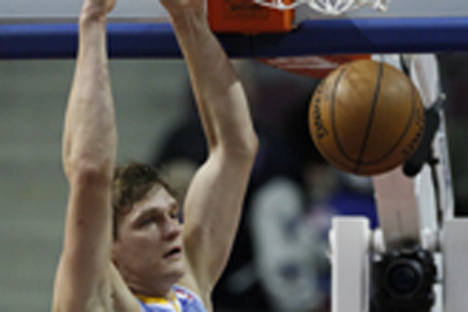 Timofey Mozgov, the Russian center for the Denver Nuggets, sums up the past NBA season. The NBA season had drawn to a close. The championship title had been decided in the seventh game of the playoffs matchup between Miami and San Antonio. With a score of 95-88, Miami players prevailed, clinching their second straight championship title. Interestingly, Timofey Mozgov might have been playing on the winners’ side. Last winter, the Heat sought out the center but ultimately signed a contract with his former teammate in Russia, the veteran Chris Andersen. Timofey kept playing for Denver, and he watched the finals from Russia, where he is currently attracting increased attention despite not having had the most successful season.